At my school, every student is separated into 4 houses: Hanuman, Erawan, Tosakan and Naga (similar to Harry Potter, haha!). I’m in Hanuman. Next Thursday is my school’s annual Sports Day event, and the color for Hanuman is orange. Because of that, to show spirit I decided to paint my nails orange! Originally I decided to go with Zoya’s Lianne, which applied on really smooth and nicely, but the Seche Vite ruined the mani with the pull. Other orange polishes I currently own are: OPI’s In My Back Pocket, Skinfood PK205 and China Glaze Peachy Keen. I didn’t like any of those three, and thats when I noticed Copper Glitter. 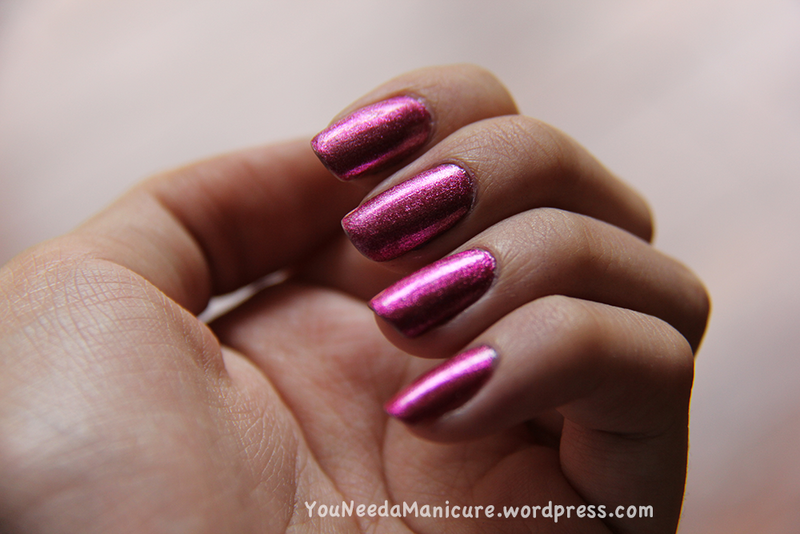 Copper Glitter is a striper by L.A. Colors. (Yes, another mani using stripers — I think I might be a little bit obsessed!) 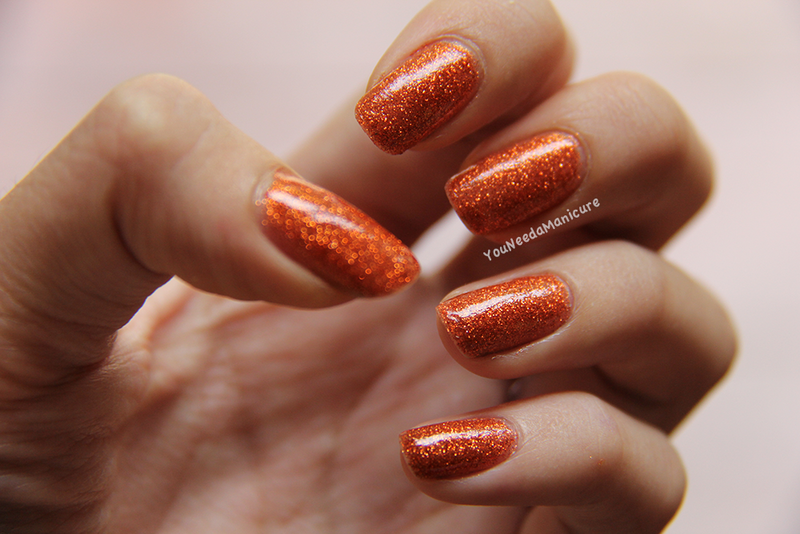 Copper Glitter is a orange and copper glitter in a clear base polish. Application was easy . This polish dried smooth and matte. Here I applied two coats of Copper Glitter and one coat of Seche Vite Dry Fast topcoat for shine. They were super sparkly when it hit the lights and even with indoor lights! I can’t stop looking at my nails. Hi there! 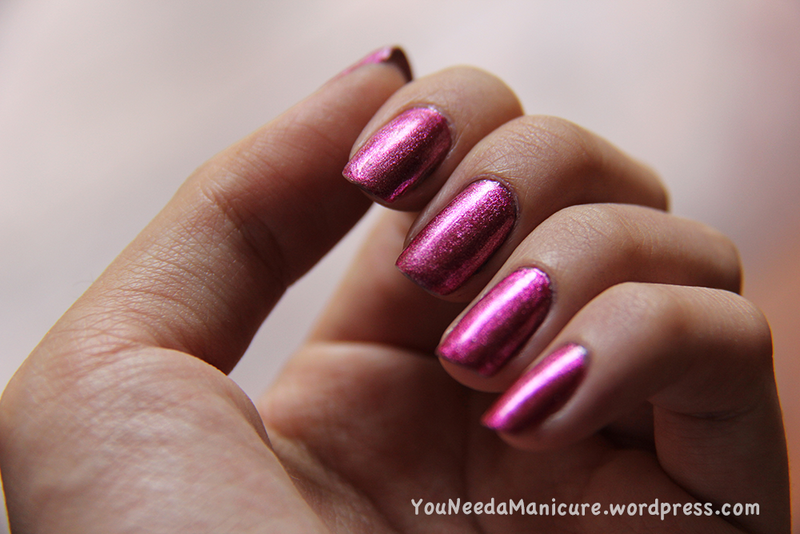 Today I present you one of my favorites – Art Deco’s Metallic Pink! Yes, its a striper, but who cares? It works well just like other normal polishes! 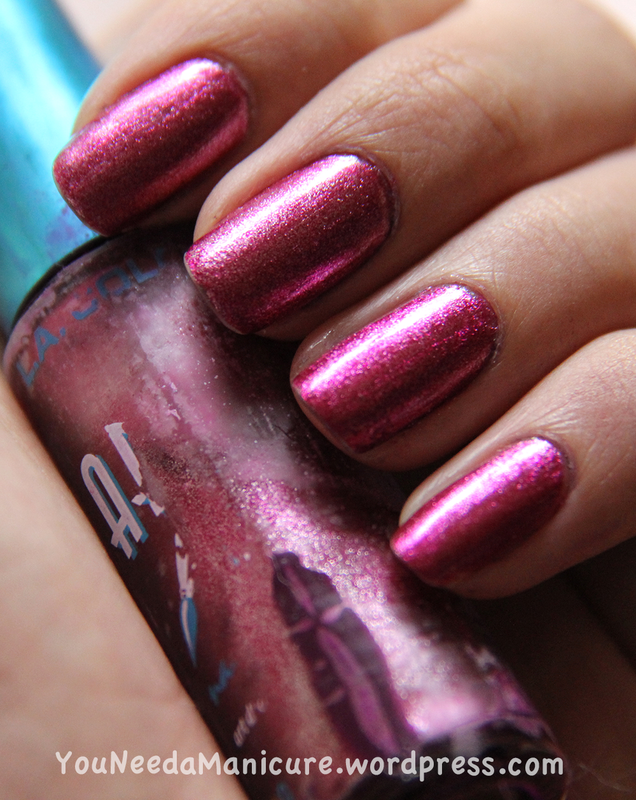 Metallic pink is pretty self explanatory… its a metallic pink color with gold/silver shimmers. Here I applied two coats with a layer of Essie Good to Go topcoat. They were super shiny! I rarely wear pink on my nails, but this was an exception! I really, really love how this turned out! I didn’t expect this at all when I looked at the bottle. The dry time was fast and the polish was very easy to apply. On my last post I said I will swatch Butter London Dodgy Barnett and AllThatGlitter Spottie Dottie Dark and Light and review them. 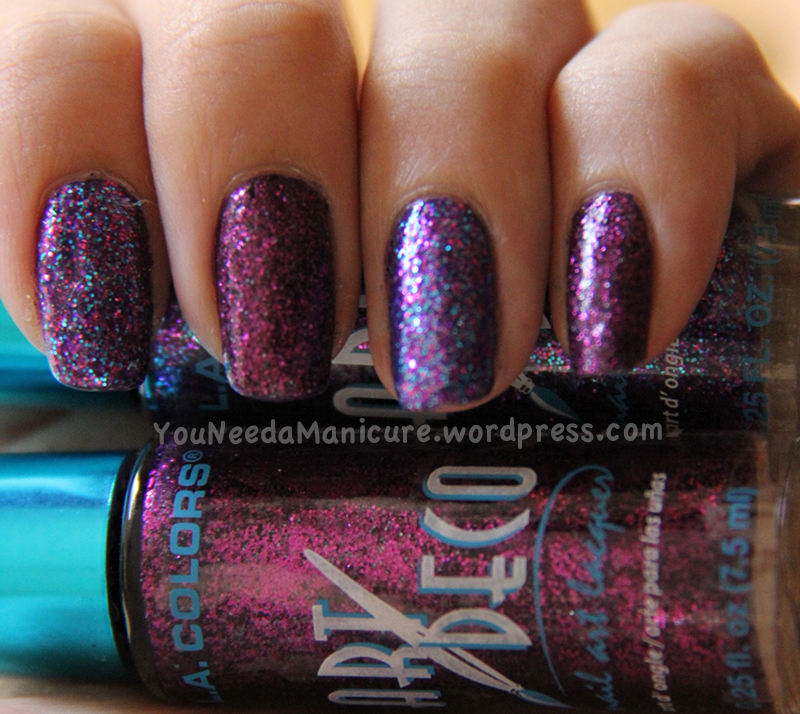 I did swatch them on my nails, but didn’t get a chance to take photos or write an entry about them yet, I’m sorry. I will try to do that soon. 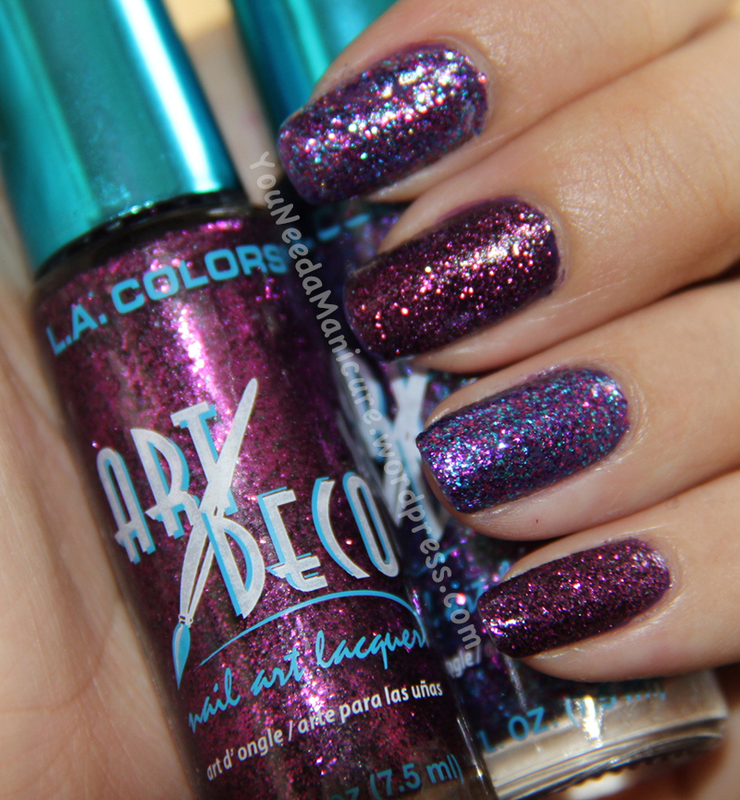 About a week ago I received my nail polish + L.A. Colors stripers order. 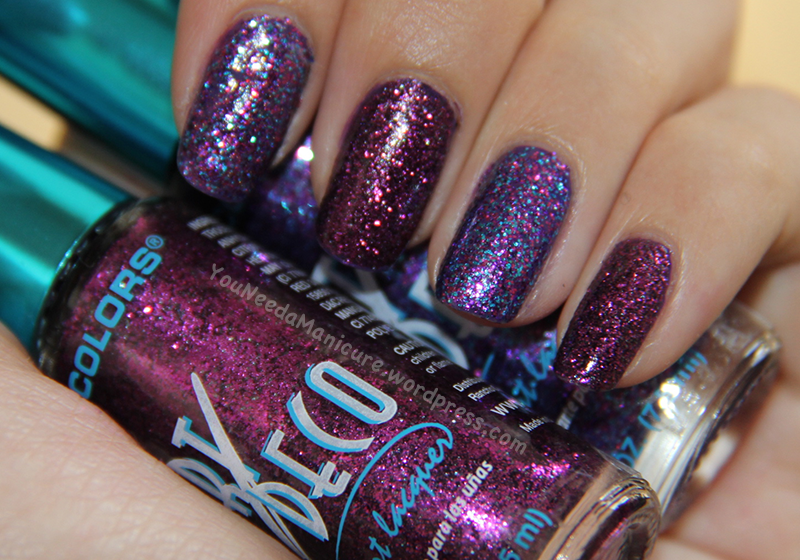 Yesterday I was playing around, and I saw how pretty the glitters in a few stripers look. So yes, I decided to paint them as nail polish on my nails. I mean, we can right? 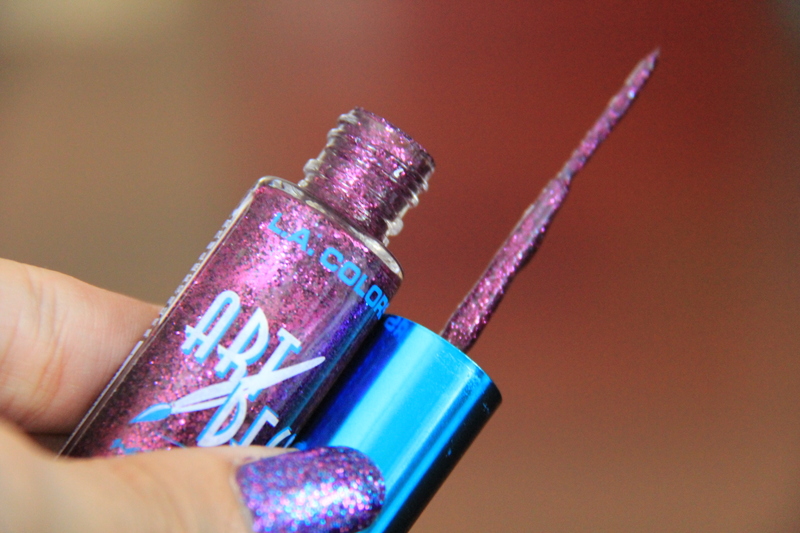 Stripers are technically nail polish, just the brush is different. Right right? Or am I wrong? 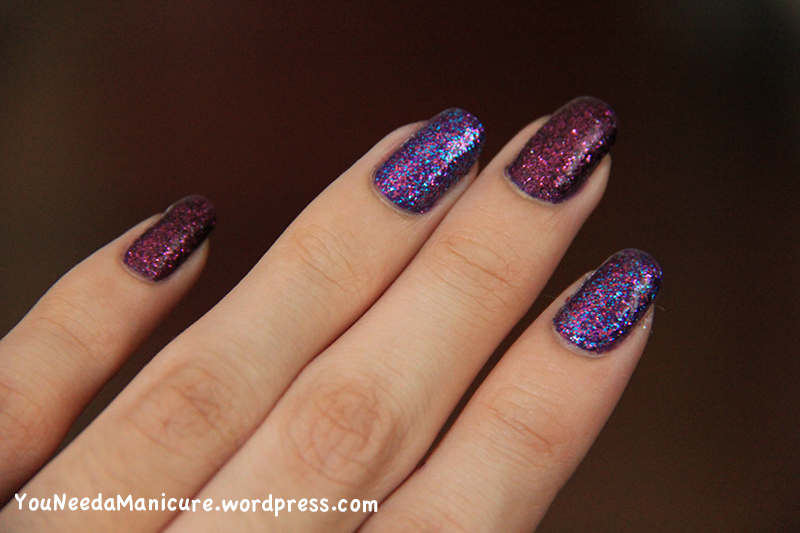 Here I have painted two coats of NA945 Purple/Blue Glitter on my ring, pointy and thumb finger, and NA938 Orchid Glitter on my pinky and middle finger. All are painted over 1-2 coats of China Glaze Grape Pop, with a layer of Essie Good to Go topcoat. Personally I loved how they turned out! And purple is my favorite color as well. They were super sparkly and fun! Here are shots of the brush. I have to say I was impressed with how easy they applied. I have to say though, that not every brush is perfect. I’ve had some stripers with loose strands. 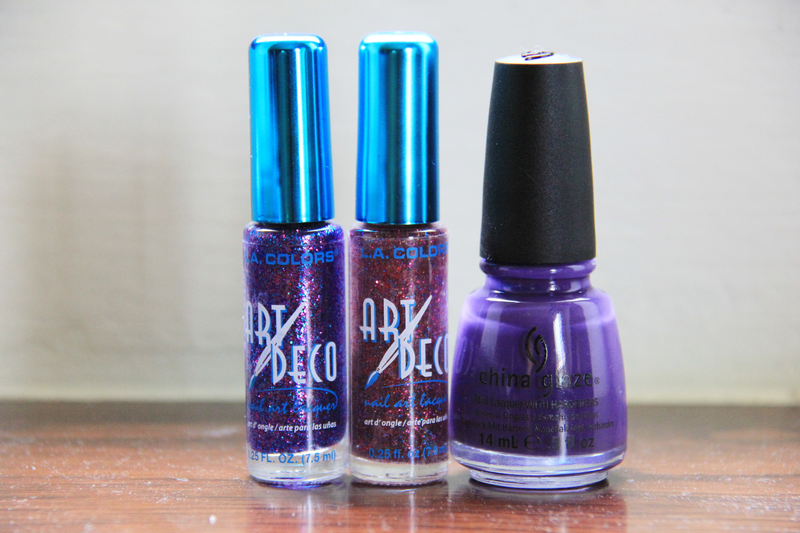 But overall, they are very nice and I would definitely repurchase them it they run out. Today in the mail I also received my VISA to America!!!!!! I will be going to America from 28th December – 6th January with my mother and brother. I am super excited for this trip, and am looking forward to buying lots and lots of polishes! Super sad though that the Euro Centrale Collection and Mariah Carey Collection will be released after my trip. That means I have to pre-order/order them online. I’m really looking forward to Polka.com.